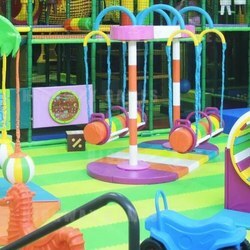 Funlandia, well known for their indoor playground equipment and turn-key solutions, will be appearing at CIAE 2019. Since the China GB/T27689 2011 No Power Type of Amusement Device-Children Slide has been issued by the Chinese government in 2011, the No Power Type of Amusement Device has become increasingly important for many areas including theme parks, attractions, business and real estate in order to keep up with the rapidly developing China Culture and Tourism Industry. They have also become increasingly popular under the Two-Child Policy in China due to their high security, good entertainment and great interaction opportunities for children. The China (Guangzhou) International Game and Amusement Expo 2019 will display a number of No Power Type Amusement Device enterprises such as Family of Childhood, Xstream Adventure (Shanghai), Funlandia, Superboy and many more. There will also be opportunities for purchasers from Universal Park & Resort, Volta Fun Park SA, Pororo Park and many more to meet their business opportunities at the show. For more information and to see the exhibitors, check out the China (Guangzhou) International Game and Amusement Expo 2019 during the 9th - 11th of May, 2019.